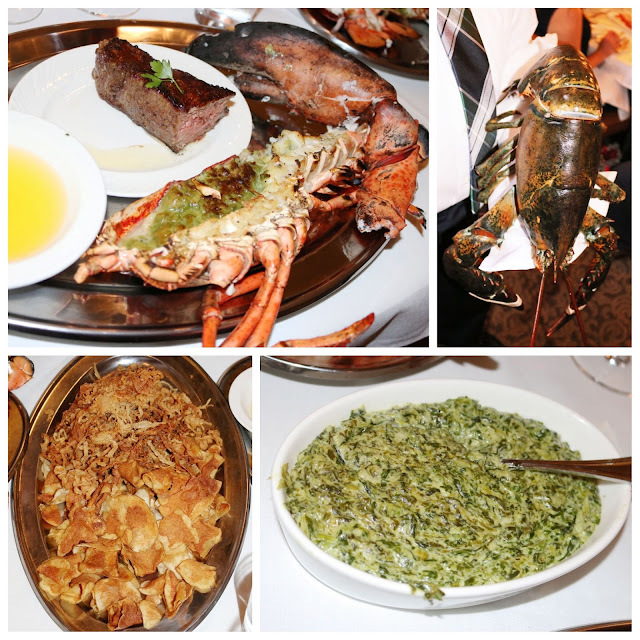 Since opening the first location in NYC in 1926, the Palm Restaurant has always been emblematic of the prototypical steakhouse experience. The Palm's always been known for great steaks, bold wines, and service to match their philosophy: "Treat guests like family, serve great food, and always exceed expectations." 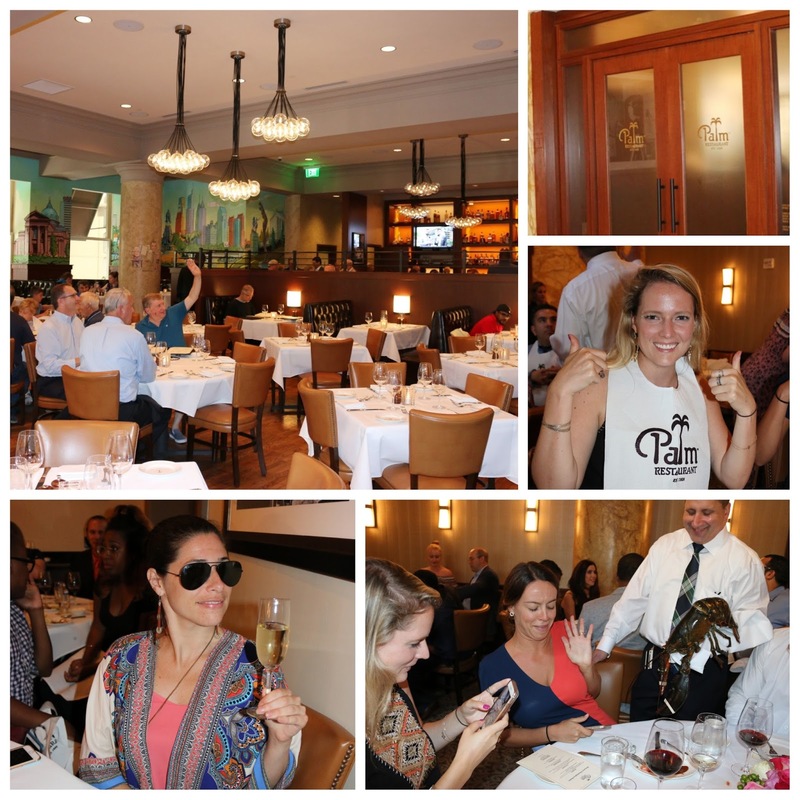 And the Palm Philadelphia certainly did that at a media dinner this past week. A Philly staple since 1989, considering the revived restaurant boom, the Palm Philadelphia sought to enhance the customer experience with an updated space and a modern kitchen. And after a year-long remodel, they had us in to celebrate their recent renovations. 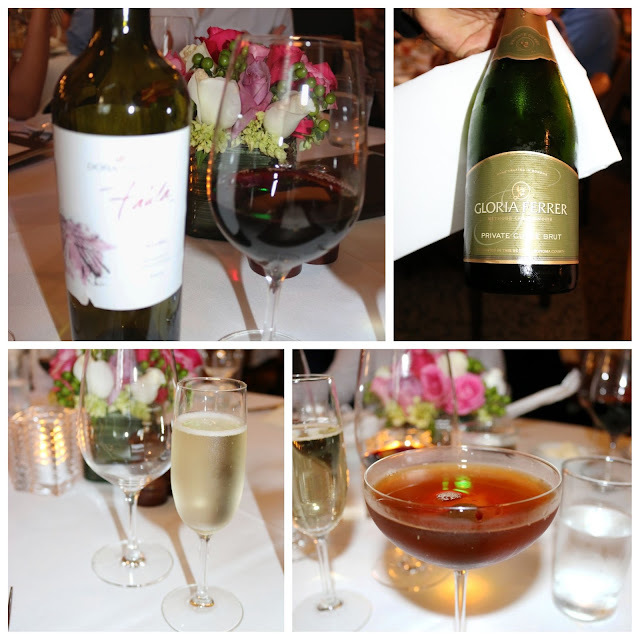 Wine and champagne pours were heavy and there were plenty of classic and innovative takes off the cocktail menu. For obvious reasons, one of my favorites was the barrel-aged, featuring bourbon married for 2 weeks with Luxardo cherries, vermouth, and bitters for a really smooth Manhattan. A proper steakhouse in my mind has got to showcase some smoked bacon to start and the Palm's certainly got that. Thick-cut slabs of cured pork belly are lightly maple-glazed and showcase sweet and savory porcine flavors. Sea scallops were deftly fried, with the coconut supporting the innate sweetness of the bivalves. Jumbo shrimp were some of the largest I've seen and the wedge was definitely my favorite of the two salads. Plenty of blue cheese, walnuts, bacon, and fried onions were interspersed in every bite. And with the mains incoming, the night got even better. GM Paul Sandler brings a quarter century of restaurant experience to the Palm. And tonight, he also brought in a 5lb Nova Scotia lobster. Why? 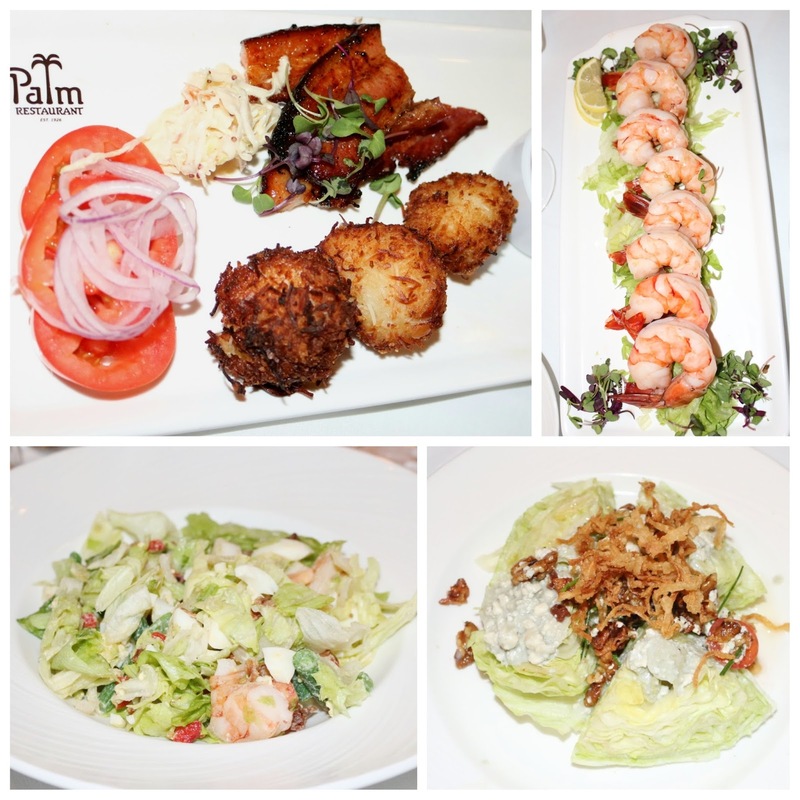 Because while the NY strip was certainly tasty, steak's not the only thing the Palm is known for! They source only the best crustaceans and we were each plied with a split 4lb Nova Scotia Lobster, declawed and de-shelled at the table. Trust me, leave it to the skilled professionals - they know what they're doing. Accompaniments included plenty of butter to satiate any hedonistic tendencies, along with some of the best creamed spinach I've ever had. There was an entire serving tray of lightly salted and crisp cottage fries, along with plenty of fried onions. 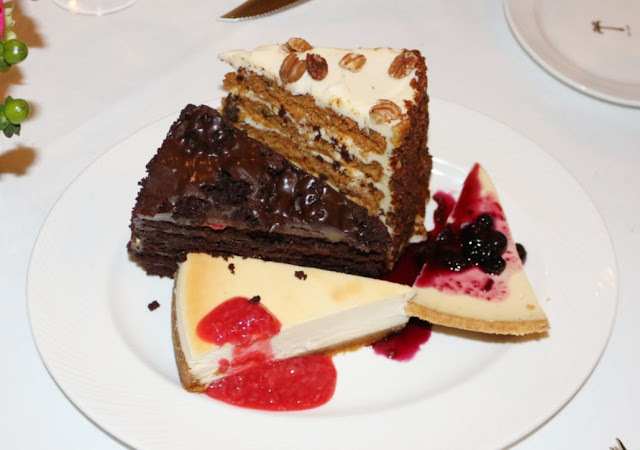 To end the night, we were served some of Palm's classic desserts, including a moist carrot cake, creamy NY cheesecake, sweetly tart key lime pie, and a flourless chocolate cake. Stuffed! Service was exceptional and as much as I want to imagine it was simply due to the media event in the private dining room (the Palm doesn't believe in charging for its use by the way! ), it was clear that wasn't the case when I stopped out to the main dining room. By 8PM on a Wednesday night, every table was booked and the bar area was hopping. Everyone was enjoying their meals and thoroughly engaged with their friends and family, with the front of the house ensuring the Palm philosophy. And through August 15, Palm patrons can return for the annual Summer Lobster event. For $99, it's a 4lb Nova Scotia lobster dinner for two, along with with a choice of two starters and either a signature veggie or potato side to enjoy! FTC Disclaimer: This event was hosted by Palm Philadelphia, along with the Brownstein Group & Gloss PR. Regardless, my opinions are mine alone and, therefore, unbiased.